HONOLULU (HawaiiNewsNow) - In this Kitchen Creation, we're talking about taro leaves, also known as luau leaves. These are from Wong's Products of Oahu. 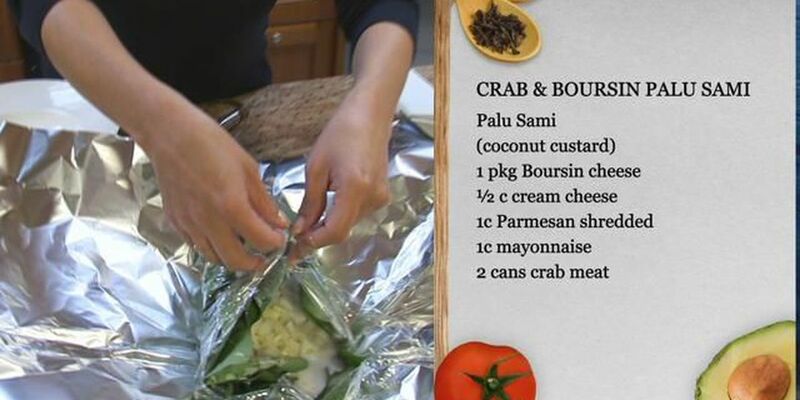 The featured recipe is Crab and Boursin Palu Sami Dip.